In marketing there are eight elements of marketing: product, place, price, promotion, people, process, physical evidence and partnership. In AdHang, there are six elements of AdHang. AdHang when hired can use its expertise on these six digital marketing elements to achieve your entity’s objectives. Some of the objectives are: awareness creation, increasing demand for products or services and stimulating sales, online public relation, public enlightenment, building or repairing public opinion, and reminder. 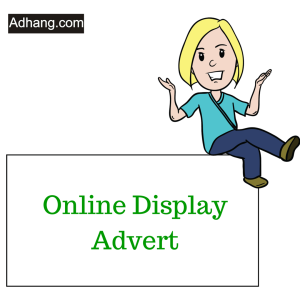 AdHang’s online display advert helps you display your advert or messages all over the internet in thousands of online platforms and opens new opportunities for your brand. The display ads can be for yearly continuity or just short term advertising such as for up coming sales, political campaigns, etc. AdHang’s online display adverts strategy will spread your tentacles all over the internet through relevant websites where your target audiences visit online, at the right time, in the chosen city/state and to the people who are to benefit from your display messages. AdHang will create, design and contextually feature online banners using innovative technologies, internet positions and makes the online display compatible with different gadgets and devices used by Nigerians such as mobile phones, laptops, desktops, tablets, etc. The major reason AdHang’s ads displays element is important is that it builds brand awareness quickly and gets information across faster, since people are more likely to remember what they see than what they read or hear. Therefore, AdHang’s display ads helps your company/organization’s objectives progress from unawareness to “top-of-mind” awareness, making the right impacts to the target audiences and building recognition both in state and national level in Nigeria. Without online content marketing there is nothing to read by the target audience, nothing to optimize and nothing to share on social media websites. 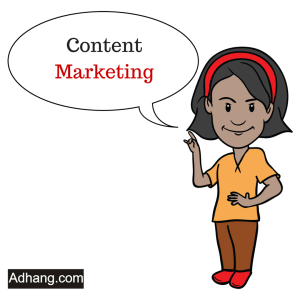 Adhang.com will evaluate and study your objectives and employs content marketing types that best suit your situation, because AdHang’s content marketing element involves numerous tools such as articles, info-graph, video, news letter, case studies, testimonies, reviews, interviews, white papers, sales copies and so on; depends on your target audiences. AdHang’s online content marketing element helps companies, organizations, institutions and businesses achieve their objectives online. Most Nigerians use mobile phones and keep them handy throughout the day. This means you can reach target Nigerian audience or potential customers wherever they go around Nigeria. 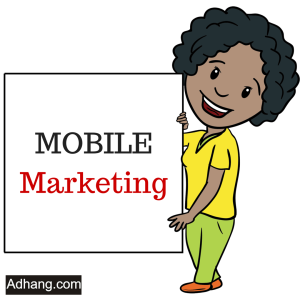 Mobile online marketing AdHang’s element targets and follows people wherever they are, and does not depend on any single location. AdHang designs numerous mobile friendly advertising tools that integrate into various mobile devices such as tablets, feature phones, smart phones, etc. 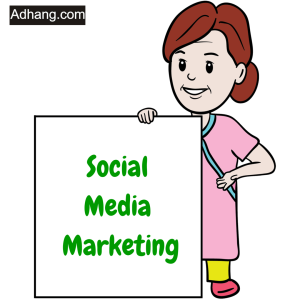 With AdHang’s online digital marketing element information is reduced to one on one basis. Thus, your advertising or public enlightenment messages get to Nigerians as they access internet with their mobile devices. AdHang’s mobile online digital marketing element leads to higher target audience response rate online and engaging to customers or potential buyers since Nigerians are generally very attached to their mobile phones. This AdHang’s online digital marketing element helps advertisers take advantage of the users’ demographic information and target their advertisement appropriately. Adhang.com’s social media targeting combines targeting options like behavioral targeting, geo-targeting, socio-psychographic targeting among others to make adequate target group identification possible in Nigeria for you. With this AdHang’s element of digital marketing: you can target people’s online networks; know what type of audience you’re going to reach; have the ability to target Nigerians based on their distinct interests or people based on their job titles or business experience. This is an incredible advertising asset for businesses and organizations to utilize to reach their perfect audience online in Nigeria. Adhang.com has the expertise and professionals that will ensure your messages reach Nigerians through numerous social media categories such as Online forums, News aggregators, Social networking websites, Photo sharing websites, File sharing websites, Wikis and Video sharing websites. 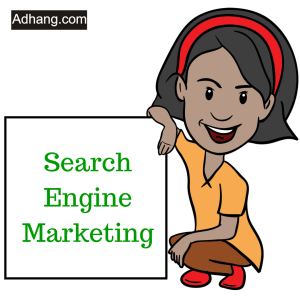 This AdHang’s online digital marketing element tends to understand internet user intent and optimizes towards the type of keyword that will be searched on search engine and then creates exact and related target keywords for that particular search term and display adverts that talk to your target audience as they type keywords in search engines such as Yahoo, Google, Bing, etc. This is one of AdHang’s elements that takes internet users with more focus and real intent to your website or landing page you want internet users to go and read your message in totality what you want them know about your company, offer, institution, organization or you. With AdHang’s professional search engine ads display optimization, it’s so easy to attract qualify and well targeted clicks on an ad. This AdHang’s online digital marketing element brings brand ambassador to deliver on-point messaging over a window of time to your target audience online. Influencers will invest the necessary time turning, spreading and building trust for the brand or promoting your message to their audiences and internet users at large. Adhang.com connects your organization, brand or business with right influencers online that will become evangelists of your product, service or enlighten the populace about your messages or what you stand for. Adhang.com uses mostly value added influencers such as journalists, analyst, academics, opinion leaders and experts to pass messages and spread clients’ tentacles all over the internet within short period of time. 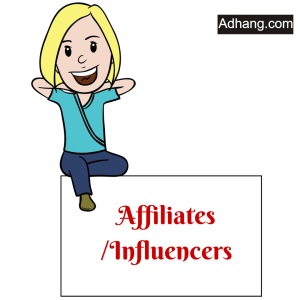 Without any work on your part, AdHang’s influencers will adequately take your campaign to the next level, the influencers have blogs readers, listeners, audiences and social media followers to share your brand, information or contents and tie it to a specific call to action that will direct traffic to desire online/offline destination.